Fall is just around the corner and for some reason I am even more excited than usual about the change in weather, clothes and yes, even my makeup. I still incorporate lighter tones in my makeup in the cooler months but there are some deeper eye looks I don't typically wear until the seasons change. I tend to wear a lighter lip because that is my preference and I am never without bronzer! In this post I'll share with you some beautiful products from The Organic Face that can not only help transition into fall, but enhance your makeup collection year-round. For a beautiful yet moisturized pout, The Organic Face has a great selection of glosses in their Addiction line. These lip glosses are infused with organic cocoa and shea butter to help condition lips and leave them feeling soft. This is an absolute must, especially in the colder weather. This gloss coats the lips without feeling sticky. It's actually really comfortable and smooth! 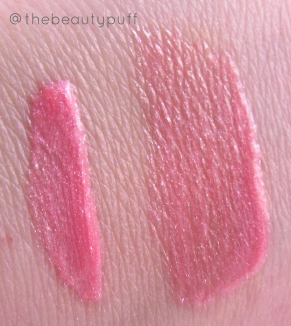 The color I have is Rosey Lips, which is a shimmery light pink. 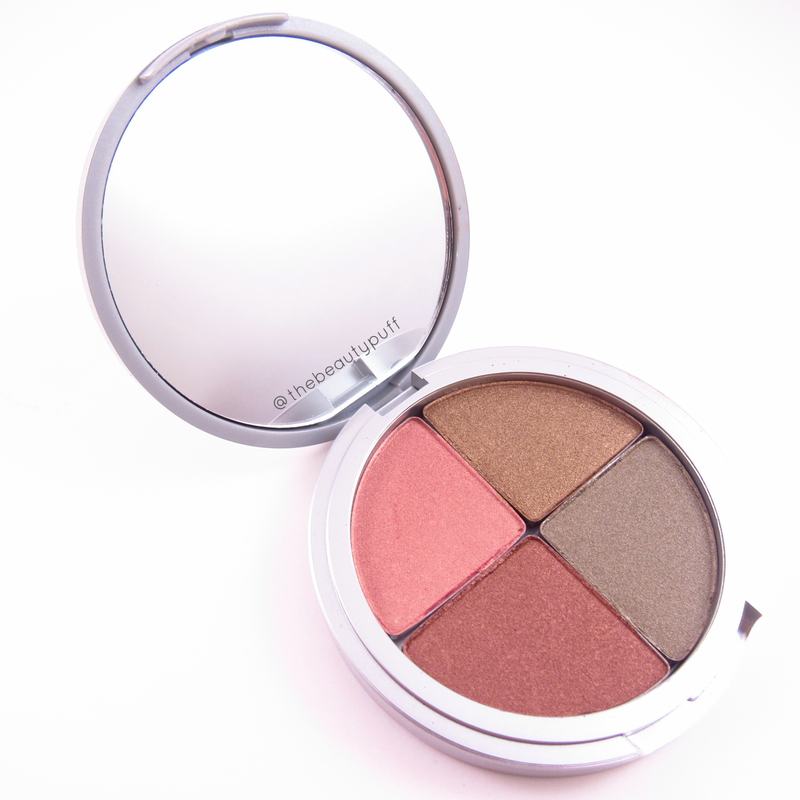 It really brightens my look, so even when I start wearing darker eyeshadows, this will balance out the look beautifully. These glosses have no: parabens, talc, gluten, bismuth or perfume. 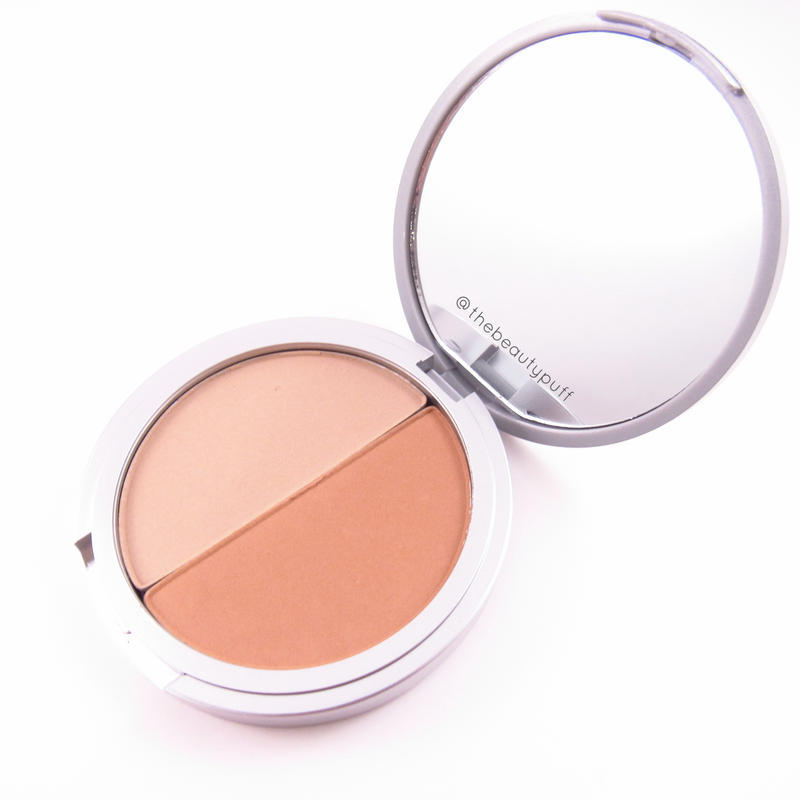 For a gorgeous glow without the sun, the Luminous Glow & Miami Bronzer Duo is all I need. The warm bronzer is incredibly pigmented so I use a light hand blending this wherever the sun would naturally hit on my face. The Luminous Glow blush provides a natural glow without looking too shiny and has no glitter or sparkle. Because this is a lighter tone, it is incredibly versatile. You can even use this shade as a browbone highlight. The compact itself features a full mirror which is fabulous for travel or in your purse! And now, for the piece de resistance, the Femme Fatale Eyeshadow quad in Mesa. I remarked about this quad on Instagram but I will say it again - these colors encompass everything I think of when I think "fall." Warm, comforting colors that can be used alone or in conjunction with each other to create a stunning look. 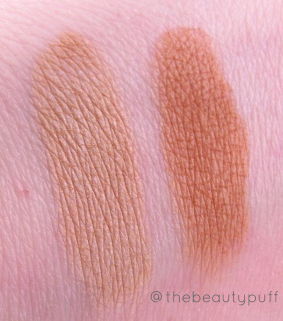 This entire quad is incredibly pigmented as well. 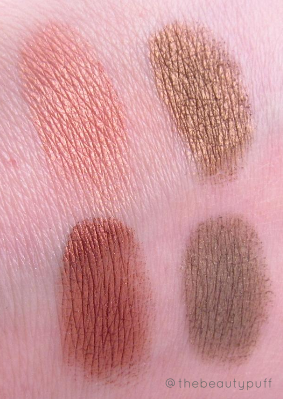 Don't let the word "organic" make you think otherwise - there is no compromise in quality with these gorgeous shadows. They blend well, have great color payoff and work well as liners or smudged on the lower lash line. I see myself reaching for this a lot over the next several months and beyond. The top two shades in particular are gorgeous even for spring and summer looks so this is a great "all-rounder" if you ask me.